Problems with the temporomandibular joint (TMJ)--the joint that connects your lower jaw to your skull by your ear--individually and collectively are known as temporomandibular joint disorder or temporomandibular joint dysfunction (TMD). 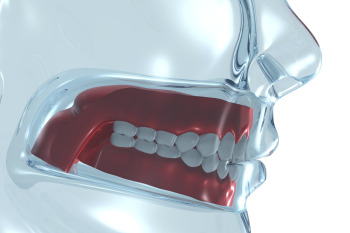 Many instances of TMD are treatable with dental help, as problems such as malocclusion (bad bite) can increase stress and tension on the area. We proudly offer TMJ dental treatment in College Station, Texas, Drs. Ken and Roxane Spence can provide specialized care. People who have a TMJ disorder often end up grinding their teeth, particularly at night as they sleep. This wears the teeth down or even causes them to crack or break, putting them at risk for decay, pain, and potential tooth loss. Dentists routinely tie these disorders to strain in the muscles and related tissues of the face and neck, which can result in headaches or spasms. Pain or stiffness, which can be in the teeth, jaw or soft tissues, is extremely common and can prevent people from enjoying everyday activities. TMD also can cause an unwanted popping or clicking of the jaw that is uncomfortable. Some patients find that their TMD negatively affects their sleep, keeping them from getting adequate rest. Over time, the resulting fatigue can pull down your overall health significantly. If left untreated, TMD can result in tooth loss due to the wear and decay that it causes. It sometimes means that a patient has to get a full mouth reconstruction. Getting TMJ disorder treatment in College, Texas at Aggieland Dental Associates can alleviate symptoms and reduce the risk of needing more costly orthodontic or restorative interventions later on. For most TMJ disorder patients, the solution is a basic mouth guard or aligner, which either pulls the bite into a better position or keeps the jaws slightly apart to relieve tension and grinding. Most of the aligners we offer are designed to be worn comfortably at night, but we offer a custom aligner you also can wear during the day if you need to. This guard is soft on the inside and harder on the outside. It isn't as bulky as some of the other options out there and tends to have a better contour that increases comfort. To make an aligner for you, Drs. Ken and Roxane Spence first will need to perform an exam. They'll look at factors such as your jaw and teeth alignment, periodontal health and the specific location of damage or pain you might have. If they decide a guard is right for you, they'll take an impression of your teeth, which they then send to a lab that manufacturers the device. • Limiting stress or movements that can stress the TMJ (putting your chin in your hands, yawning). • Eliminating stressors that can make you clench and grind your teeth. • Stretching or massaging the muscles of the face, jaw and neck. • Making dietary changes to incorporate softer or more cooked foods. Don't Suffer--Make Your Appointment Now! To schedule your dental TMJ disorder assessment in College Station, Texas at Aggieland Dental Associates, use our appointment request form or contact us at (989) 696-4511.